NAV, Heated Leather Seats, Satellite Radio, Premium Sound System, Onboard Communications System, iPod/MP3 Input, ACTIVE BLIND SPOT DETECTION. 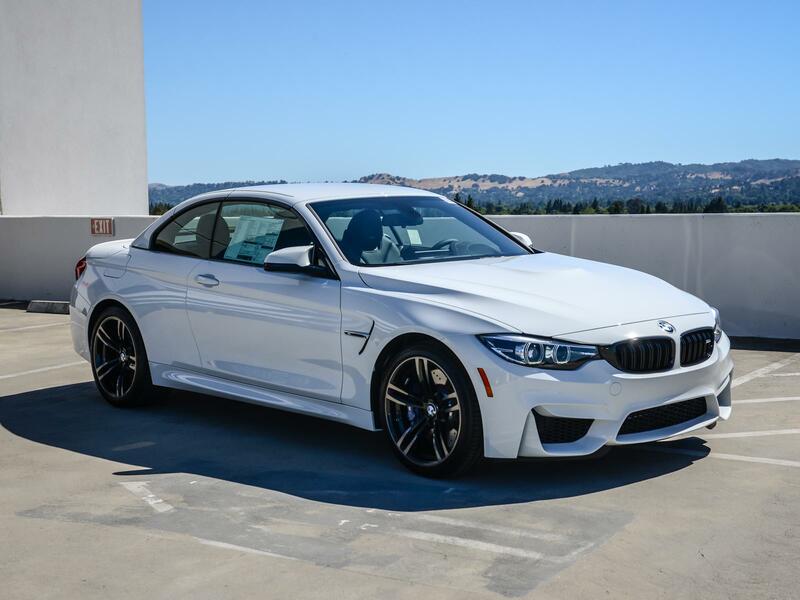 Alpine White exterior and Black Extended Merino Leather interior, M4 Convertible trim. SEE MORE! 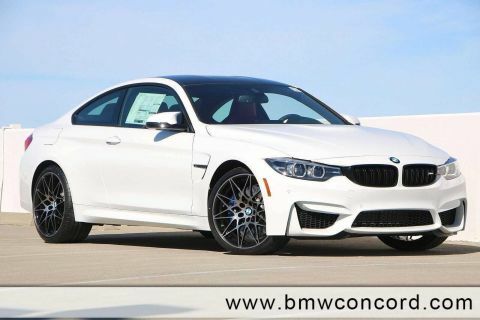 Leather Seats, Navigation, Rear Air, Heated Driver Seat, Back-Up Camera, Turbocharged, Premium Sound System, Satellite Radio, iPod/MP3 Input, Onboard Communications System, Convertible Hardtop, Keyless Start, Dual Zone A/C, Heated Seats, Heated Leather Seats. MP3 Player, Keyless Entry, Steering Wheel Controls, Rollover Protection System, Electronic Stability Control. 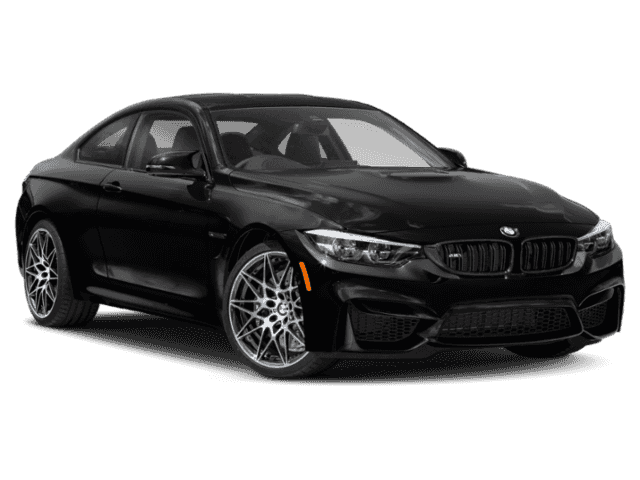 TRANSMISSION: 7-SPEED M-DOUBLE CLUTCH W/DRIVELOGIC, WHEELS: 19 X 9 FRONT & 19 X 10 REAR BLACK M forged, double-spoke, style 437M, Tires: P255/35R19 Front & P275/35R19 Rear Mixed performance, HEAD-UP DISPLAY, ACTIVE BLIND SPOT DETECTION, APPLE CARPLAY COMPATIBILITY, HEATED STEERING WHEEL. 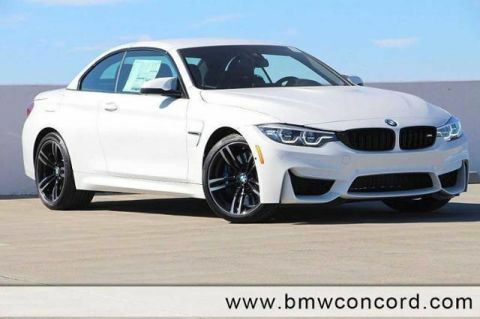 BMW M4 Convertible with Alpine White exterior and Black Extended Merino Leather interior features a Straight 6 Cylinder Engine with 425 HP at 5500 RPM*. Approx. Original Base Sticker Price: $85,300*.